The April 15th tax filing deadline is past. But just because you’ve filed your taxes doesn’t mean you’re in the clear. Tax-related identity theft is a year-round problem. In this blog, we explain the specifics of tax-related identity theft and how to avoid becoming a victim. Tax-related identity theft is when someone steals a social security number to get a job or file a tax return in someone else’s name. 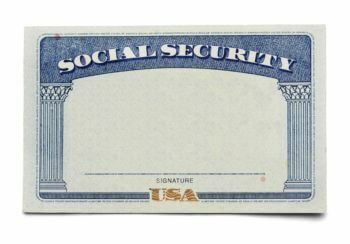 Tax-related identity theft victims often aren’t aware their social security number has been stolen until after they file a return. The most effective way to prevent tax-related identity theft is to file your return early. Procrastinators are the ones who are most likely to have a fraudulent return filed in their name. Tax-related identity theft reports spike every February and March, so the sooner you file after receiving W-2s from your employer, the less likely you are to have your return stolen. Cybercriminals posing as the IRS or other legitimate organization prey upon unsuspecting consumers. Be wary of emails touting “IRS Information” or “Taxpayer Notice” or phone calls claiming to be from the IRS. If the IRS needs to contact you, they will do so by mail. Speaking of mail, keep a close eye on your mailbox. Tax-related identity thieves often steal mail to gain access to confidential personal information. Use a locked mailbox and collect your mail as soon as it arrives. Always mail sensitive mail from a USPS mailbox or post office. Unscrupulous tax preparers use tax season as an opportunity to commit tax-related identity theft. Avoid tax preparers who base their fees on a percentage of your refund. Verify their professional credentials and check business ratings with the Better Business Bureau. You must keep tax records for seven years after the filing date. After seven years, it’s important to destroy them. If they land in a trash or recycling receptacle, your chance of becoming a tax-related identity theft fraud victim increases. 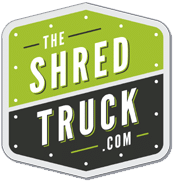 An on-site mobile shredding service offers the most secure way to destroy old tax records. Remember, tax-related identity theft can happen anytime. Keep close tabs on your personal information and use the tips we’ve offered here.